The grey of dawn was just breaking over the town as the Rotary team gathered to complete preparations for the towns 29th May Day Fayre. The sky was clear and record temperatures were forecast. Over the next few hours we were busy welcoming exhibitors, setting up stalls, checking the sound system, liaising with the Police and organising our volunteers. As the town clock struck 9, all was prepared and people started to trickle through the High Street and rec. The May Fayre was under way. 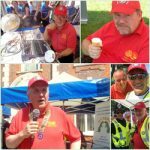 Let me take you back almost a year to July 2017 when Dave Edwards called together his team to start the planning for this years Fayre. 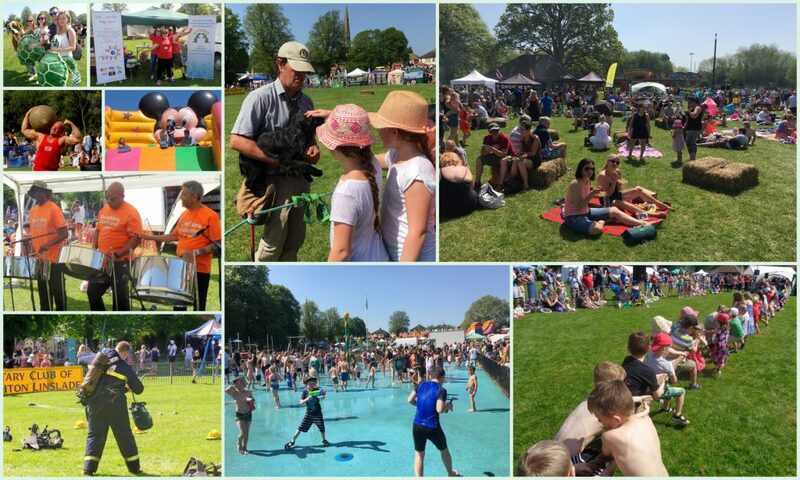 Yes, it’s true it takes almost a year to plan and organise, Dave has always been the moving force to make the May Fayre such a wonderful success, it’s probably the largest outdoor event in Bedfordshire with over 20,000 people attending this year. Our aim has always been to make the May Fayre a special day out for young and old. A chance to enjoy the Fun Fair and the kids inflatables. A time for local community groups to have the opportunity to have a stall in the High Street or Parsons Rec to showcase their activities. 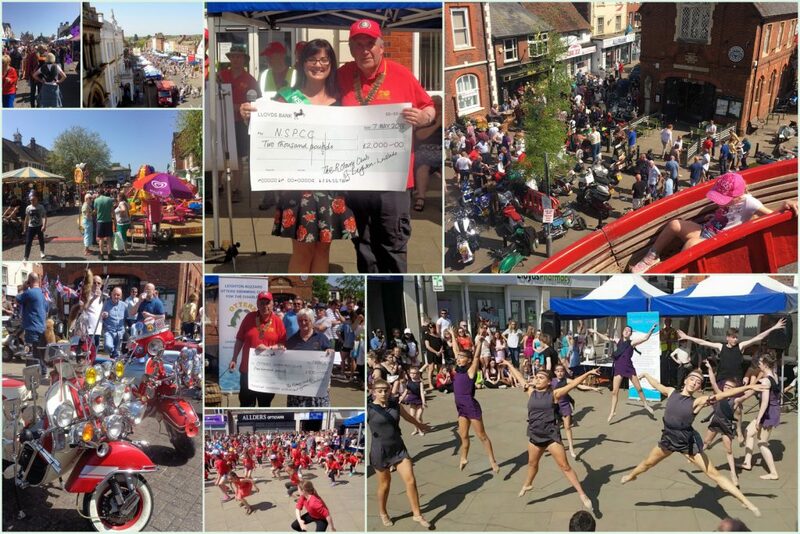 I love to spend time at the Market Cross and enjoy the fantastic entertainment from our community on show throughout the day. All our commercial partners pay substantial contributions to take part in the day. The profits of the day go to fund the professional entertainers in Parsons rec, the balance is used to support the many charitable activities across the wider community. During the day club president Richard Johnson OBE presented cheques to our local branch of the NSPCC and to the Otters Disability Swimming Club a founder member of Rotary’s Yes We Can disability sports club. We also send our thanks to MK Dons SET for again supporting us with their football stadium and to our Buzzards football team who show their skills in a game. So what was new on the day? The endless sunshine was a real bonus making the splash park a real draw for families to hang out and enjoy the fun and a picnic. Our biggest innovation was the development of our food village. We kept our favourite of the Rotary Burger Bar and added hot food franchises ranging from Caribbean to Asian food choices. The new Rotary tea tent was a massive success as was the beer tent provided by the Leighton brewery. The crowd relaxed and enjoyed the great sounds of our steel band and the display from Spectrum Community Arts. The kids loved our strong man and the stilt walker. The performances of the gun dogs was simply entrancing they were simply wonderful as were the ATC with their display and the terrific performance of the fire cadets, how did they manage in their heavy uniforms and equipment in the scalding heat. We hope you all had a fantastic time, see you next year?